Stuart Koman is the founder, president and chief executive officer of Walden Behavioral Care and its nonprofit Walden Center for Education and Research. Dr. Koman is a veteran health care manager with more than 30 years of experience leading and developing several behavioral health care companies. 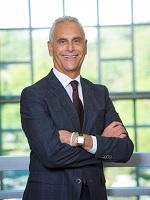 While all of these companies have become successful businesses under his leadership, Dr. Koman attributes much of this success to another common theme: They have all taken seriously their mission of providing innovative, compassionate and coordinated services to previously underserved populations and families. Walden Behavioral Care is the most recent example as it has quickly become the leading provider of services for individuals with eating disorders in New England through its multilevel, multisite system of care. In the 12 years since its founding, Walden has become a state-of-the-art system of care that has provided treatment services to more than 15,000 patients. 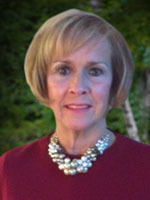 Cindy Hale is Walden’s Vice President of Strategic Marketing and Engagement. 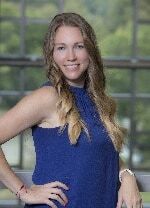 In this role, Cindy will be instrumental in Walden Behavioral Care’s growth strategy and trajectory. She will serve as the organization’s brand steward, helping them to refine the brand and elevate awareness while continuing to enhance the employee and consumer experience. Previously, Cindy has been the President of OTW/Fuseideas, Director of Marketing for Boston Children’s Hospital and most recently, the Senior Vice President of KHJ Brand Activation. Cindy is an ardent supporter of Dana Farber serving as co-captain for the PMC Team Flames which has raised close to $5M for cancer research.